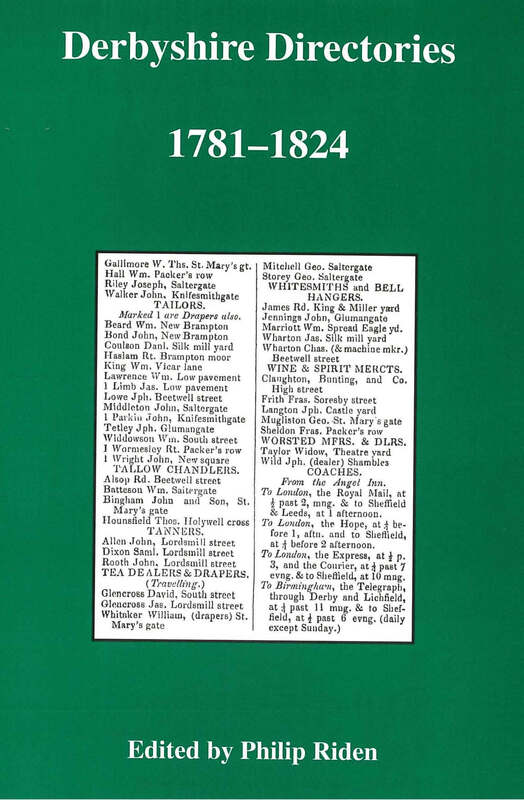 This book brings together material relating to Derbyshire from a range of early directories. Apart from some entries for communities in the High Peak taken from a Manchester directory of 1824, all the text is drawn from the earliest national directories issued between 1781 and 1822. 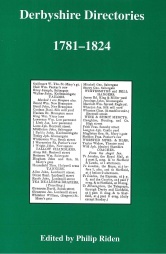 The original volumes in question, which are very scarce, have been searched systematically for entries for Derbyshire towns and villages, which are here brought together in one place for the first time, with a full index of persons and places. Directories are a useful source for many aspects of local history between the late eighteenth century and the mid twentieth. This book greatly facilitates their use for Derbyshire history during a period which saw major changes in the county&apos;s economy with the onset of industrialisation. All content © Copyright 2014-2015 Derbyshire Record Society. All rights reserved.